Movies and TV shows bring the world – doesn’t matter which one – in front of your very eyes, often leaving behind a craving for you to actually see those worlds you’ve encountered on the screen. Alas, there’s no way for you to visit the Cloud City on Bespin, Mordor’s volcanoes or the floating cliffs from Avatar. But there is one popular TV show where some of the most outlandish sceneries are real-life places on our planet, in our time, that you can travel to and see. The show that’s a great inspiration for your future vacation ideas: Game of Thrones. And one of its most interesting filming locations is Grjótagjá, one of the many magical places in Iceland. Grjótagjá is a small lava cave close to Lake Mývatn, in one of the most amazing parts of Iceland. The landscape above it doesn’t give away the wonders that hide beneath. Seen from the surface, it is an arid, rocky area with a crack in the ground, nothing uncommon for this part of the world. But below, there’s something special hiding in plain sight: a cave that hides a thermal spring feeding a small hot-water lake. Grjótagjá was a popular bathing site for many centuries. 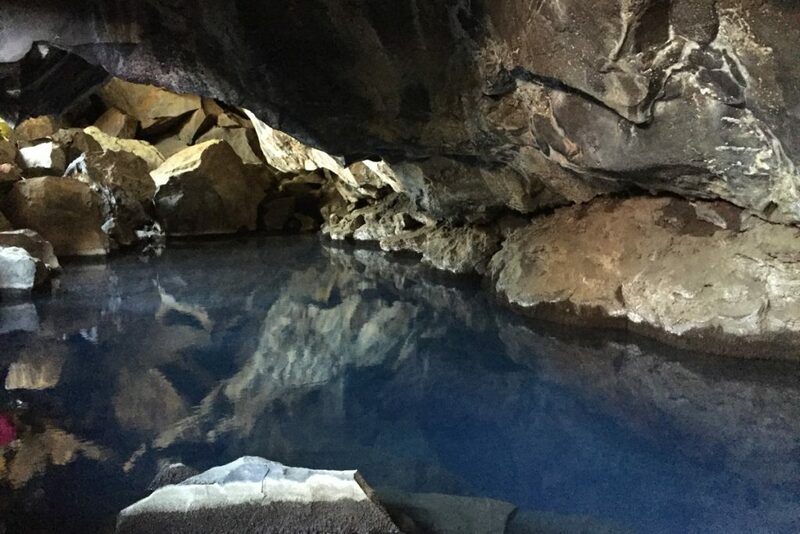 It is said that Jón Markússon, prince and outlaw in the 16th century Iceland, lived here and used the cave lake for bathing. Volcanic eruptions between the mid-1970s and the mid-1980s have turned bathers away from the cave lake as the water’s temperature has risen above 50°C, making it uncomfortable for the skin. But as the water temperature has decreased, it is once again usable. However, the bathing in the cave is now forbidden. “Kissed by the Fire” is the fifth episode of the third season of the Game of Thrones. In it, it is revealed that Sandor Clegane (The Hound) is afraid of fire. Also, the Wildlings with a red hair – like Ygritte – are said to be “kissed by the fire” (hence the title of the episode). Most of the episode has been shot in the sets built in The Paint Hall studios in Belfast, Northern Ireland, but enough of the scenes were on-location. You can catch glimpses of the Pollnagollum cave in Belmore Fores, Clare, Ireland. In the gardens of Gosford Castle in Markethill, Northern Ireland, Robb Stark executes Rickard Karstark. And perhaps the “hottest” scenes, featuring Jon and Ygritte, were shot in Iceland. 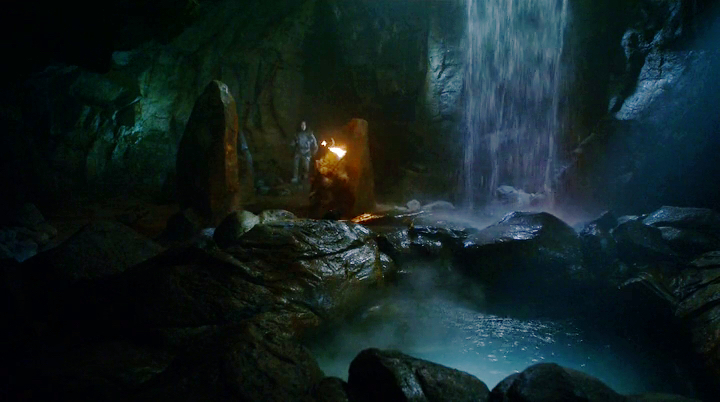 The Wildlings camp was built by the shores of Lake Mývatn, and the “hot” scene of the episode was shot right inside cave Grjótagjá. If you decide to visit Iceland and are a fan of Game of Thrones, you have to visit the area around Lake Myvatn. It’s absolutely breathtaking. The Hotel Gigur that overlooks the lake has some fantastic views and can be a good base for discovering Myvatn. For some additional ideas about movie and TV locations read my Movie and TV locations trip around Iceland.